At Guardian, children are encouraged to interact with nature and learn in a variety of environments, including in the garden. Observation and research has shown there are outstanding educational benefits for children when involved in gardening activities. 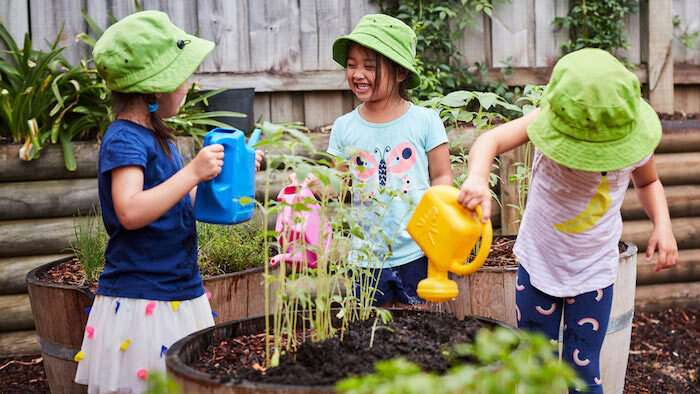 Children can learn new skills, have fun, socialise and develop self-confidence by spending time in the garden tending plants and growing their own food. Note: While we have listed some outcomes, the wonderful thing about experiences at our centres is that learning outcomes overlap and vary depending on the child, educator and particular experience.